One topic that comes up time and time again in the comments on our Multisite posts is SEO. People often want to know how running a Multisite network will affect SEO, both for the main site and for other sites or blogs in the network. There isn’t a simple answer to the question “How will Multisite affect my SEO?” The way in which SEO and Multisite interact will depend on how the network is set up, what kind of domains you’re using and how you want your SEO to work. Some network admins want the whole network to be treated as one site for SEO purposes, while others want each site to be treated differently. In this post, I’ll look at three different scenarios and how they affect SEO – one will help if you want your network to share SEO juice, and the other two will work best if you want each site to be treated differently by search engines. But let’s start by summarizing the options you have in Multisite. Subdirectories: If you set your network up with subdirectories, a site within it will have the domain http://mynetwork.com/mysite, where mynetwork.com is the domain of your network and mysite is the individual site. You have to specify which of these you’ll use when you activate Multisite, and you can’t change it afterwards. If you’re activating Multisite on an established WordPress installation you can only use subdomains, and if your network isn’t in your domain’s root directory you’ll have to use subdirectories. However, there is a third option that will override either of these and that’s domain mapping. 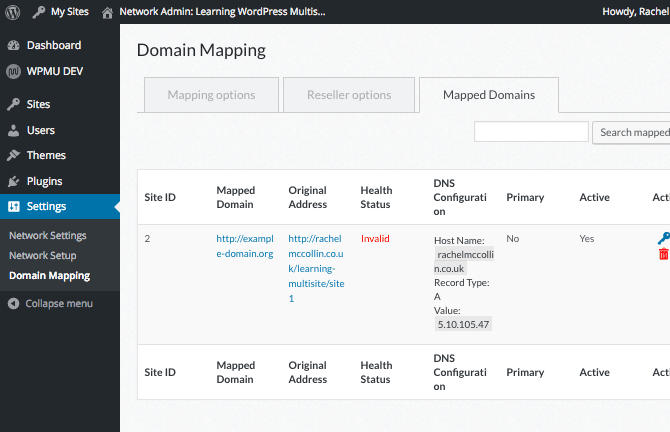 With the dWordPress MU Domain Mapping plugin you can map a completely separate domain (or multiple domains) to any of the sites in your network, which means that your site can have the domain http://mysite.com and will behave as if it’s hosted on that domain instead of in your network. As Google is the search engine most of us worry about, let’s take a look at how Google treats subdomains and subdirectories. My understanding of this is that Google does its best to work out how your sites should be treated regardless of whether they’re using subdomains or not. Google will treat subdomains as separate hosts if you’re using wildcard subdomains, but if not, it might not if the content is related. And if you’re using subdirectories, then Google will do its best to treat them as separate sites if the content makes it clear that that’s the case. Which is good news if you already have a Multisite network and can’t change your setup – Google will try to respond to the way your content works and not just the way your domains are set up. But if you’re setting up a new Multisite network, I’d still advise using the domain approach that will give you the best results for SEO. If you’re managing separate sites with overlaps in their content, or related sites with very different content, then it pays not to rely on Google’s algorithm working it out. After all, it can’t hurt to make life as easy as possible for Google. So how do each of the three Multisite options interact with SEO? We are the Multisite Experts. Period. We’ve been developing plugins for WordPress Multisite for the past 10 years. 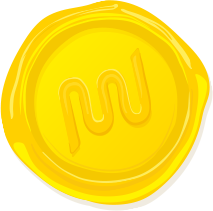 With WPMU DEV you get our most popular plugins like Domain Mapping, Snapshot, Pro Sites, Support System, User Switching and bucket loads of others tailored specifically for Multisite! Woop! Let’s work through each of the three options and identify how they might work if Google’s algorithm doesn’t manage to work out how your content is structured but instead uses the domain structure as a guide. As far as their URL structure is concerned, subdirectories are no different from pages and subpages on your main site. So structurally there’s no difference between a page called “About Us” which is a child page of another “My Site” page on the main site at http://mynetwork.com/mysite/about-us, and an “About Us” page on a mysite site in the network at the same address. This is the reason that you can’t activate Multisite with subdirectories on an established WordPress installation, because there may be a clash of urls. Google will do its best to identify where sites are separate using subdirectories but as the URL structure is the same as for a single site, you should assume that for SEO purposes, your network will be treated as one site. If you want search engines to treat your network as one site, this is the approach you should use. If you want SEO for the sites on your network to be separate, go with another option. Subdomains work in the opposite way to subdirectories: search engines will treat them as separate sites unless the content between them is very similar. So if you’re using Multisite for multiple sites belonging to one organisation, you might find that Google treats your sites as one even if they are using subdomains. However, as with subdirectories, I wouldn’t rely on the search engines to do this for you. Subdomains aren’t the best approach if you want your network to be treated as one big site. Instead, use subdomains if you want the sites to be treated differently. And if your sites have related content but you want to be absolutely sure Google will create them separately, then use mapped domains instead. Mapped domains will be treated completely separately by search engines, even if they relate to sites hosted on a Multisite network. This is because the search engines use domains as their starting point, and not hosting setups. So if you want to ensure that the sites on your network are treated completely separately, use mapped domains. This will apply even if your content is similar. Mapping Domains will ensure the sites in your network are treated as separate for SEO purposes. There is one thing to beware of here, though: if your sites have a lot of content in common and you use domain mapping, you may be penalised for having unoriginal content in each of the sites. Google expects a quality site to have original, relevant content, so if your sites share a very high proportion of their content, mapping domains could land you in trouble. Think hard before you do this. As we’ve seen, the approach you take to your domain structure will depend on the content of your sites and whether you want them to be treated as separate sites or not. SEO and Multisite Needn’t be Complicated!If you follow this guide, your SEO should work the way you want it to. If you set up your network and your domains to encourage the search engines to index your site in the way you want them to, then Multisite won’t mess up your SEO. And even if your existing network’s domain structure isn’t optimized, you needn’t panic – as we’ve seen, Google algorithms will do their best to work things out for themselves. Do you run a Multisite network? How do you configure your domains for SEO? Let us know in the comments! Website on subdomain is essentially a separate site. Therefore, the primary domain authority is transferred only partially. Therefore, a site on subdomain will need additional references from authority domains. Therefore it is better to use directory. This has always been a confusing topic for me. I’ve must have asked at least 5 different SEO teams/individuals on the best approaches on having these different options and not losing any SEO ground that you have already built up. The Quick matrix above really explained it well for me. I feel that subdomains are the best way for multisite. They are so many advantages. The information above explained me a lot. Thanks! Let me copy paste it here. You might give me some pointers or write an article about it. But how does Google evaluate the contents to decide on the unity or separation of the subsites? In our case, we setup a multisite of four subsites – each subsite dedicated to one language. One is English, the rest three are local languages currently not supported by Google. Yet, I recall reading a while ago, (on a Google note titled localization? or something) that it is advisable to write urls & permalinks in English if and when language of the content is not supported by Google. Therefore, our entire network is using English on post slugs and taxonomy slugs, even if the text of each subsite is different. Does that confuse Google from understanding the sites as different or any other way? Ah. Please delete the first one. All Your Questions Answered ? So, When the plugin SMARTCRAWL will be fixed ? !